At our new all-round harness by U-Turn the name says it all. RX3 stands for relax to the power of 3 and this applies to the seating comfort as well as to the very high safety standard through the innovative foam protector. The light all-round harness is offering comfort in highest quality and processing – built for athletic adventurers. The RX3 was designed as sporting all-round harness. Thereby the light design and slim shape emphasize the sporty character. Nevertheless much value was placed on maximum protection - and thereby the new developed foam protector achieves the top damping values of 23,45 grams. The innovative and certified system thereby offers very high safety already at the beginning of the starting phase. high seating comfort. The leg loops are padded with neoprene and are closed outwards - that prevents uncomfortable pressure marks in the crotch area. The ergonomically formed seating board is an in-house development, it combines particular robust features and high break resistance with low weight. 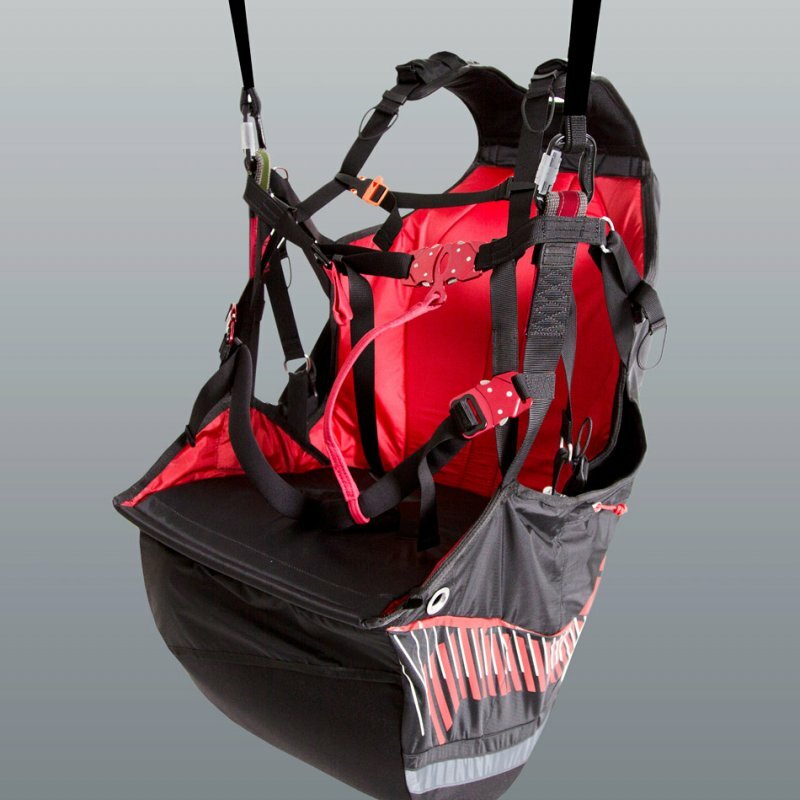 The rescue container pocket is positioned directly under the seating board, this arrangement near the body‘s center of gravity facilitates the release of the rescue with low exertion of force. Additionally the pocket is slotted, to ease the pulling out. A particular easy pull outside container enables a smooth release of the rescue system even if the direction of movement is in an angle of 90 degrees. For the two main suspensions a very hard-wearing tissue material with a Kevlar core was used. In combination with the elaborate seaming this ensures the high abrasion resistance and maximum values at the tearing tests. Additionally the flaps are color-coded and pose the perfect supplement in interaction with the color code on the risers. 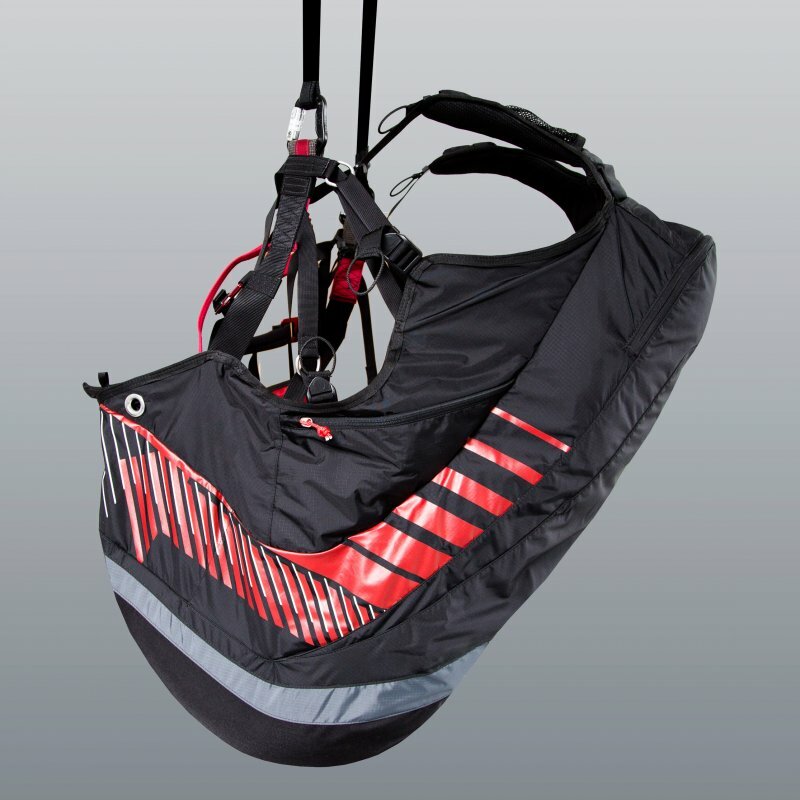 The RX3 is aimed at all pilots, who are looking for a sporty all-round harness with very high comfort. It is suitable for beginners, occasional flyers as well as ambitioned xc-pilot, who prefer legroom without restriction by covering. 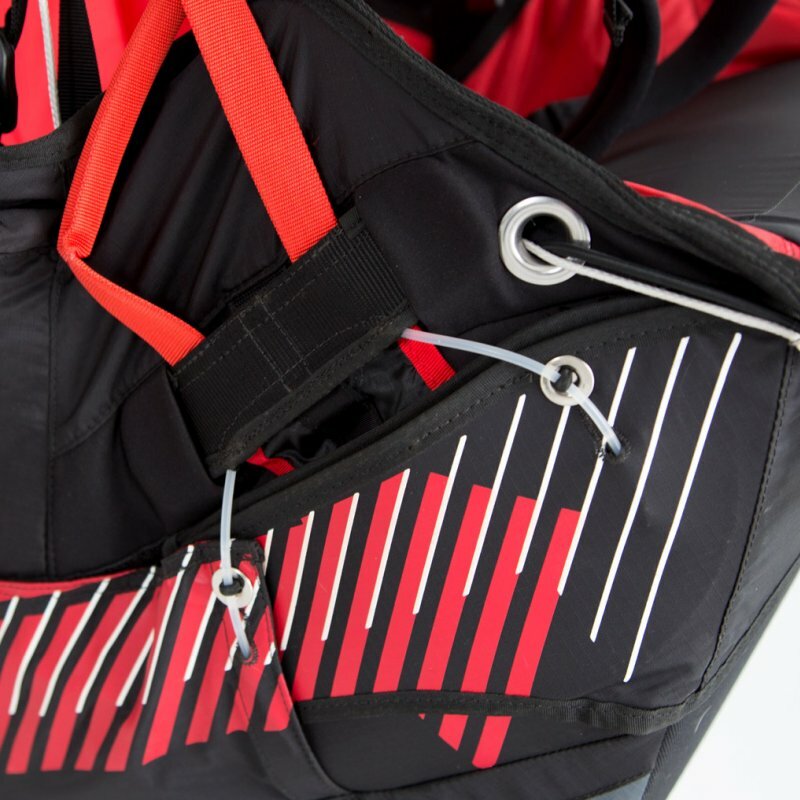 Two zipper pockets at the side with integrated material loops are providing space for flying accessories, that are also easy reachable during the flight. The back compartment is generously dimensioned and provides a safe storage place for small items like wallet and key ring in the additional inside pockets. Drinking tube opening and suspension flap for the drinking system in the back compartment. The hard-wearing outer shell is made of abrasion resistant and washable material, the heavy-duty areas are additionally strengthened. Optimized speed bar flow through Ronstan Orbit Speed System pulley provides approx. 30 % less load when accelerating. Retaining elastic band for the speed system, crosswise tension provides more efficient retaining even at long adjusted speed bars. Simplified rescue system release through newly designed container with easypull. Innovative foam protector with damping values of 23,45g. Ergonomically formed seating board out of light material with very high break resistance. Kevlar-strengthened suspension loops with color coding. The RX3 combines all advantages of an all-round harness in high-quality processing, designed for long-lasting use. Available as of now in the 3 sizes S, M, L – Please take a seat!